﻿Barbara's painting. "First Snowfall" was awarded Best of Show in the 2010 American Plains Artists 26th Annual Juried Exhibit held at the Great Plains Art Museum in Lincoln, Nebraska. 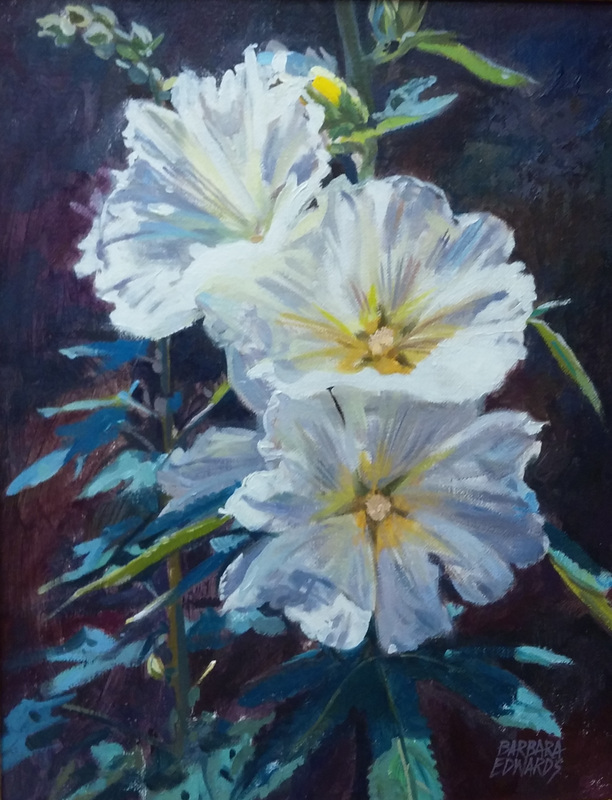 She also had the honor of being juried several times into the prestigious International Arts for the Parks Top 100 Exhibit and in 2002 was awarded the Yellowstone National Park Purchase Award and also the Arts for the Parks Wildlife Award of Merit. Earlier in the same exhibit, U.S. Art Magazine selected her painting for its Award of Excellence. This year Barbara's painting, "Birth of a Nation" received a Juror's Choice Award at the 2009 National Paint the Parks Show & Competition. 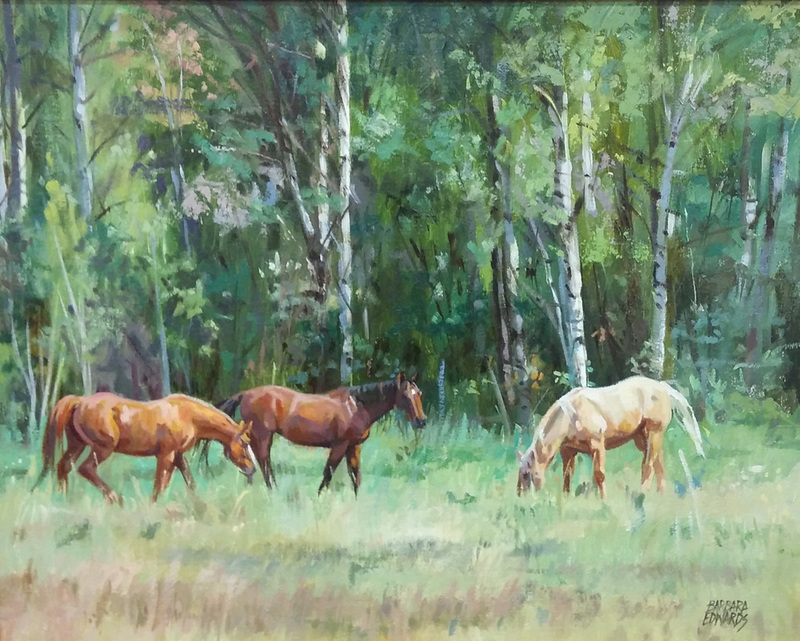 Some of Barbara's other exhibits and awards include: Oil Painters of America National and Regional Exhibits-National Award of Excellence and Regional Award of Excellence; Utah Watercolor Society - Award of Excellence and Intermountain Society of Artists - First Place Painting Award. Barbara's award winning painting, "Cool Waters" was published in the 2003 September/October Issue of the Wildlife Art Magazine article, "America the Beautiful: Glimpses of the National Parks". Her painting "When I Was a Child" was published in the North Light Book, The Best of Portrait Painting. Barbara is also listed in the prestigious Cambridge Who's Who Registry.